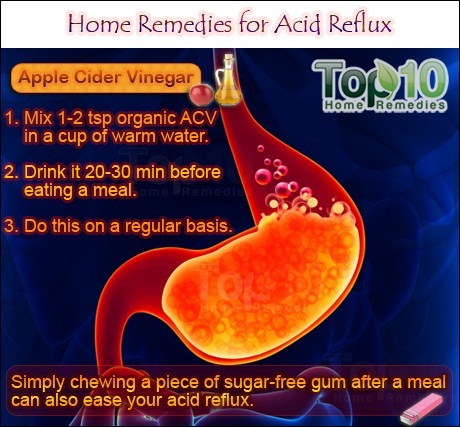 Acid reflux is characterized by heartburn or burning pain around the lower chest area due to stomach acid moving up into the esophagus, a long tube connecting the throat to the stomach. The pain tends to worsen when you lie down or bend over. Severe or chronic acid reflux is referred to as gastroesophageal reflux disease (GERD). In addition to heartburn, it may also give rise to symptoms like nausea, a sour taste in mouth, sore throat, dry cough and chest pain. If left untreated, it can cause serious complications including Barrett’s esophagus and esophageal cancer. 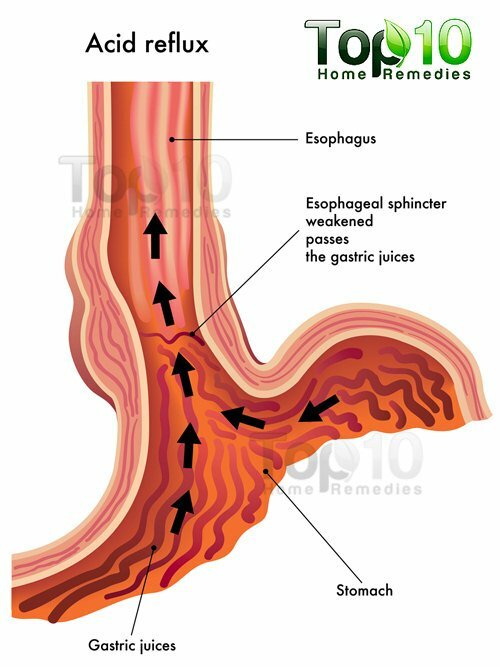 Frequent and severe bouts of acid reflux require medical treatment. If you experience only mild symptoms, you can try some natural home remedies to get relief. If the problem occurs more than twice in a week, then consult your doctor. 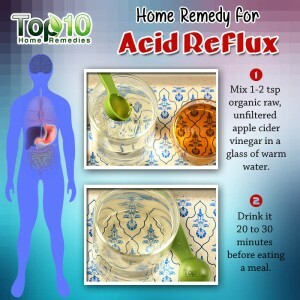 Here are the top 10 home remedies for acid reflux. Mix one to two teaspoons of organic raw, unfiltered apple cider vinegar in a cup of warm water. Drink it 20 to 30 minutes before eating a meal. You can also drink apple cider vinegar mixed in water when heartburn strikes. Mix one-half to one teaspoon of baking soda in a cup of water. Drink it down quickly for instant relief. Note: Prolonged ingestion of baking soda is not recommended. 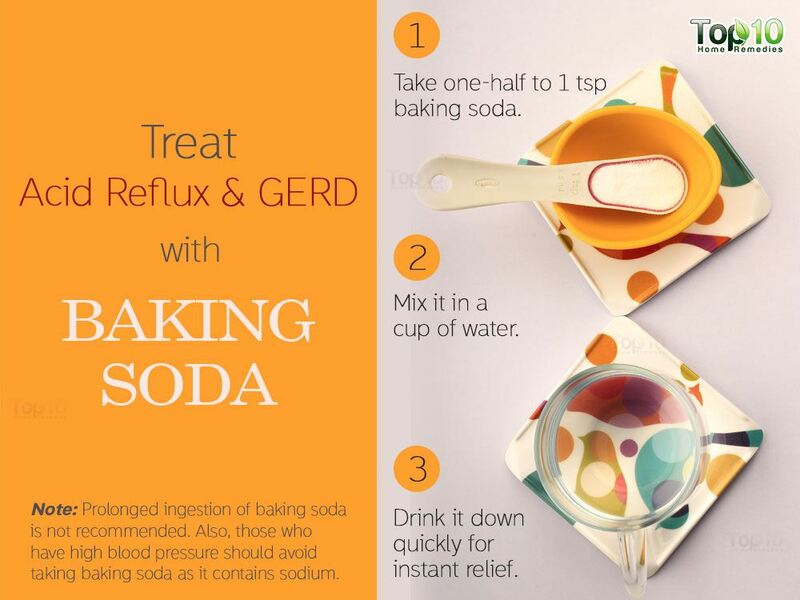 Also, those who have high blood pressure should avoid taking baking soda as it contains sodium. 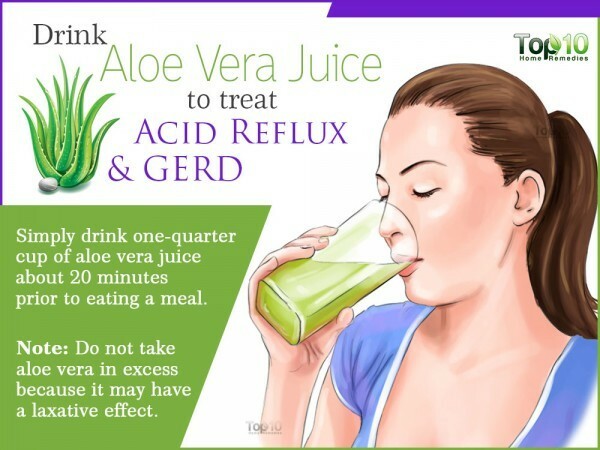 Due to its healing and anti-inflammatory properties, aloe vera helps soothe inflammation in the stomach and esophagus to bring relief from the effects of acid reflux. Simply drink one-quarter cup of aloe vera juice about 20 minutes prior to eating a meal. Note: Do not take aloe vera in excess because it may have a laxative effect. A study published in the Journal of Dental Research found that chewing a piece of sugar-free gum for about 30 minutes after a meal can help relieve symptoms of gastroesophageal reflux disease. It stimulates production of saliva, which in turn washes away acid accumulated in the gut. Being alkaline, saliva also helps neutralize stomach acids. So, you can have sugar-free chewing gum after meals to ease your acid reflux. You can also consider chewing a cinnamon gum, but avoid mint-flavored gums as mint relaxes the lower esophageal sphincter, which contributes to the reflux of stomach acids into the food pipe. Licorice root is beneficial for acid reflux because of its stomach-healing properties. It soothes the mucus membranes and protects the lining of the gut, reduces gastric inflammation and decreases gastric spasms. 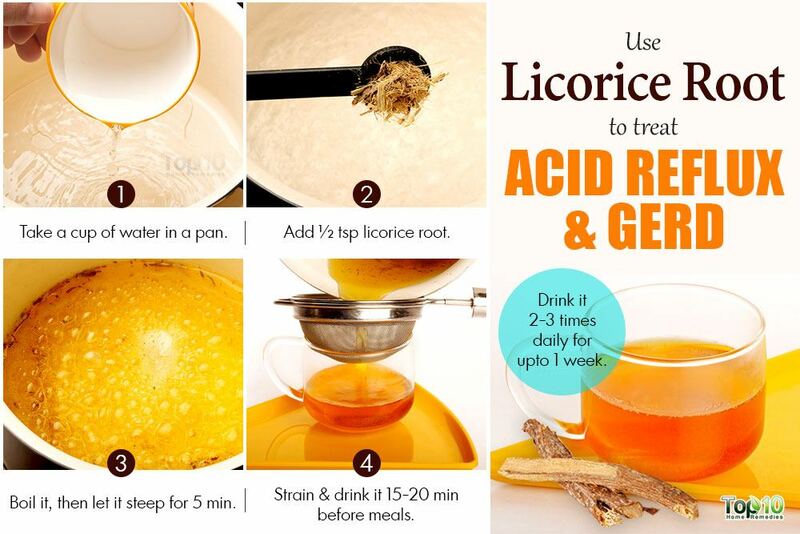 Boil one-half teaspoon of licorice root powder in a cup of water. Strain and drink it 15 to 20 minutes before meals. Use this remedy two or three times a day for one week. Alternatively, you can take one or two 400 mg chewable DGL (Deglycyrrhizinated licorice) tablets before meals, two or three times a day. Continue for at least a few weeks. You can get this herbal supplement from most natural food stores. Note: Consult your doctor before taking this herb. Yellow mustard is another popular home remedy for acid reflux as it helps neutralize stomach acid. The vinegar content in this food is a weak acid that lowers the pH of stomach acid. When acid reflux strikes, eat one teaspoon of plain yellow mustard for instant relief. If it is too strong for you, follow it with a glass of water. Note: Though effective in most cases, mustard may make heartburn worse for some people. Fennel is highly beneficial for improving digestion and suppressing stomach spasms. It has a compound called anethole that helps calm spasms in the gastrointestinal tract and has anti-inflammatory effects. 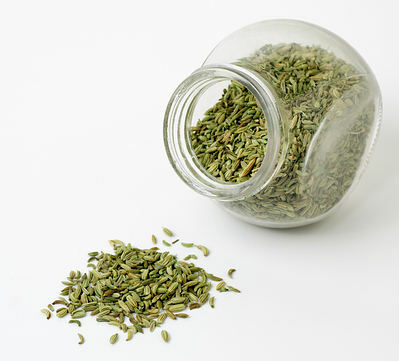 Simply chew one-half teaspoon of fennel seeds after meals. Alternatively, you can boil one teaspoon of fennel seeds in a cup of water. Let it steep for 10 minutes and then strain it. Drink it two or three times a day for a few days. 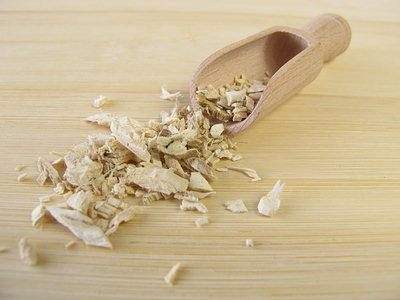 Slippery elm has demulcent properties that help coat the esophagus and the lining of the stomach. Plus, it has soothing and anti-inflammatory effects. 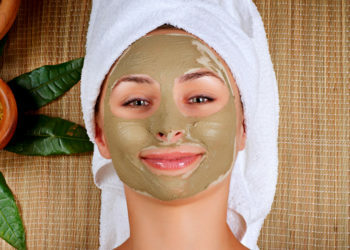 Mix two tablespoons of powdered slippery elm bark in two cups of hot water. Drink it three times a day until you see improvement. 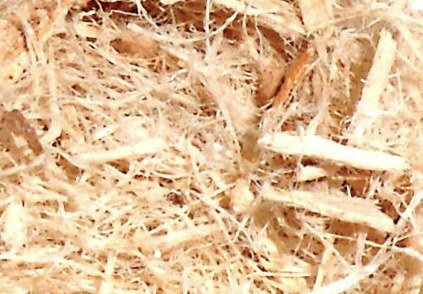 Like slippery elm, marshmallow has soothing and demulcent properties. Being high in mucilage, it protects the mucosal lining of the stomach and esophagus. Add two tablespoons of dried marshmallow root to one quart (four cups) of water. The next morning, strain out the herb. Drink this a few times a day until your condition improves. 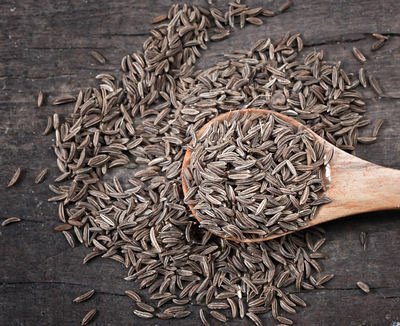 Cumin seeds can help deal with acid reflux as they stimulate digestion and reduce digestive issues like acidity and gas. Boil one teaspoon of cumin seeds in a cup of water. Let it steep for five minutes and then strain it. Drink this tea in the morning and after meals for a few days or until you notice improvement. You can also add this spice to foods while cooking. Eating a Red Delicious apple or a few almonds after meals can help prevent the onset of acid reflux. In addition, include probiotic foods such as yogurt in your diet. Do not eat heavy meals, especially right before bedtime. 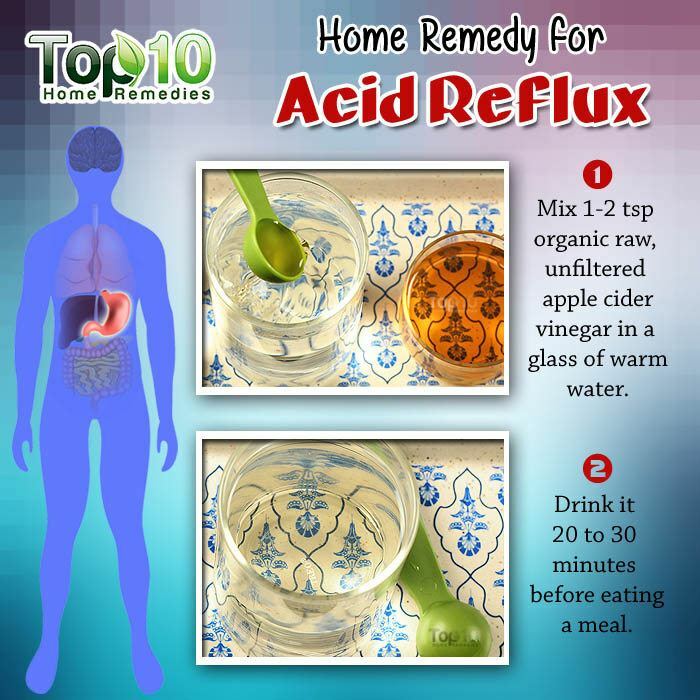 Try to determine what triggers your acid reflux. Most common triggers are cigarette smoking; drinking alcohol, carbonated drinks or coffee; eating chocolate, citrus fruits, onions, garlic, and spicy, fried or fatty foods. Elevate the head of your bed by four to six inches to inhibit reflux while you are sleeping. Also, sleep on your left side. Studies indicate that sleeping on the right side may aggravate acid reflux problems. Your health tips are very very helpful, in fact you don;t know how many lives you’ve saved. Thank you ! Thank you !! Thank you !!! I can say today I am alive because of drinking apple cider vinegar. I read this info long time ago somewhere and it really worked and I actually added baking soda in it.. Raw, unfiltered honey cured my chronic GERD/Acid Reflux. I am symptom free. A slow bowel due to food with too low fibre and high in processed sugars. . The bowel should empty every day . Twice a day is better… some ppl only empty their biwel every 3 or 4 days . Some longer . This backs up in bowel preventing stomach from emptying completly..so build up of undigested food bubbles up into the throat. Burning … simply solution. Squeeźe lemon juice in water . Drink it slowly . Lemon juice buffers stomach acid. Cleans the blood. For the bowel… increase fibre and water intake. You might get wind etc in the first week but that will pass as the bowel is cleansed. Your tip’s is very helpful. Thank you so much. I have been following your posts and my acid reflux has reduced drastically. I have seen a good turn around in my life. Thank you. I would like to know if its safe to drink both baking soda and apple cider vinegar at once or drink one after an hour you drink the other. My suffering from throat burn that comes and go every now and then. Thanks for the listing those home remedies. Thanks for all the great information . If you have gerd, avoid coffee and tea and chocolate. Also avoid acid foods like citrus. Make sure that you do not lie down for one to two hours after eating. And yes, apple cider vinegar and baking soda both work, but you should also get checked out by a doctor since it can lead to cancer in throat and stomach.